HPV is believed to cause nearly 5% of all new cancers across the world, making it almost as dangerous as tobacco. According to the CDC, roughly 79 million Americans are infected with HPV–approximately 14 million Americans contract HPV every year. Most individuals don’t even know they have the infection until the onset of cancer. About 27,000 HPV-related cancers are diagnosed in the USA every year. According to a new article published in the respected journal, Cancer, widespread vaccination of boys against human papillomavirus (HPV) infection, with the HPV quadrivalent vaccine, known as Gardasil (or Silgard in Europe), was shown to be a cost-saving approach to prevent subsequent head and neck cancers (better known as oropharyngeal cancers). 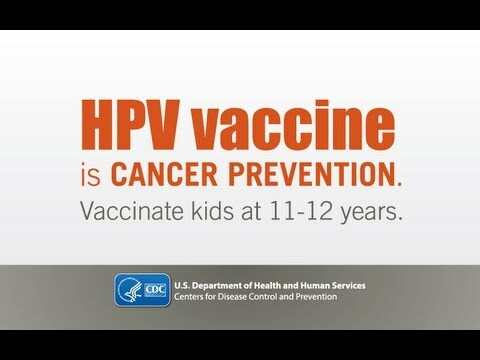 It is well understood that the HPV vaccine prevents cancer. The researchers, who examined data from the Canadian healthcare system, found that a 70% vaccine uptake rate, plus the the 99% effectiveness rate of Gardasil, might reduce annual cancer treatment costs by as much as C$28 million (approximately, US$22.2 million). Reducing uptake and effectiveness to 50% might still save C$8 million (US$6.35 million) annually. Furthermore, although the study was limited to Canadian data for treatment of oropharyngeal cancer, the study suggests potentially larger and more dramatic savings in the U.S. as well. In Canada, the average cost of 1 year of care care for a patient with newly diagnosed oropharyngeal cancer is around US$26,000; however, in the USA, cost estimates for treatment of the same cancer range from US$79,000 for patients with commercial insurance to US$59,000 for Medicaid (state run insurance programs for the economically disadvantaged) patients to US$48,000 for patients covered by Medicare (Federal insurance program for disabled and seniors). Thus, in adjusting for the population of the USA (about 10X higher than Canada) and ridiculously higher costs of treatment, the savings could be dramatic, from US$160 to around US$900 million per year. And this doesn’t even account for the suffering caused to the patient and family to diagnose and treat oropharyngeal cancers. Remember, this study compared vaccination to no vaccination. The savings in health care costs (let alone the psychological and physiological issues with getting a serious cancer) is incredible. Unfortunately, one of the problems with the HPV vaccination is that boys are lagging behind girls in uptake. The major part of the of this problem is that the indication for immunizing boys came about 2 years after the launch of the vaccine. “This is essentially an anticancer vaccine.The female cancers [associated with HPV] often have premalignant lesions, which allow you to do very nice, well-powered studies to show remarkable benefit in terms of preventing precancerous lesions in the real-world setting or, even more so, preventing the cancers themselves. The problem with the males is that they have a higher burden of the oropharyngeal cancers, and there is no precancerous marker that allows you to do studies in a short period of time. In other words, the reduction in precancerous signs of HPV caused cancers show up earlier in girls and women, so we can provide well powered studies that provide evidence that the HPV vaccine works. On the other hand, the HPV caused cancers in males, don’t show up early, so you may have to wait decades to see a causal relationship (though reducing HPV infections that lead to oropharyngeal cancer is very obvious). A small caveat. The authors admit the mathematical model they used did not take into account what’s known as herd immunity — the protective effect on the entire population of having a significant portion of people vaccinated against a given pathogen. It is possible that the much higher HPV vaccine uptake rate in girls may protect heterosexual boys against the disease. Of course, this assumes that the uptake rate could approach 90% in girls (it hasn’t in the USA, where the HPV vaccine uptake rate is around 57%). Also, this type of herd immunity will have no effect on gay males. Setting aside the herd effect (which those of us who are pro-science understand to be incredibly important to vaccinations), this is more powerful evidence that the HPV vaccine prevents cancer while saving tremendous amounts of money in future healthcare costs. Graham DM, Isaranuwatchai W, Habbous S, de Oliveira C, Liu G, Siu LL, Hoch JS. A cost-effectiveness analysis of human papillomavirus vaccination of boys for the prevention of oropharyngeal cancer. Cancer. 2015 Apr 13. doi: 10.1002/cncr.29111. [Epub ahead of print] PubMed PMID: 25867018.